If you have any questions or want to enquire about dates, use our form to contact Sarah Chesworth or see their website for more information. A quiet bay, soft green hills, big skies, a single-track road… The views from this whitewashed 19th-century crofter’s cottage are as peaceful and calm as it gets. But that doesn’t mean it’s back-to-basics. Although traditional on the outside, inside the cottage is stylishly cool with a Scandi-design touch. White tongue-and-groove panelled walls and open-raftered ceilings create luminous, airy spaces. Step straight into a small but perfectly formed, bright and contemporary kitchen. Move up two steps into a wood-floored living space carefully set with Danish-style furniture, wood and peat-burning stove and designer lighting. Limited edition prints and shots of colour add warmth; the deepset window adds cosiness. The bedroom is beautifully uncluttered with soft grey colours and simple furnishings; the pretty bathroom crisp and shiny. There’s a useful outhouse (with washer and drier) for bike storage and clothes drying; this is Skye, remember. Come here to walk, cycle, take photos, wildlife-spot – there’s a small front garden, terrace and a meadow. Or explore Portree, 5 miles. 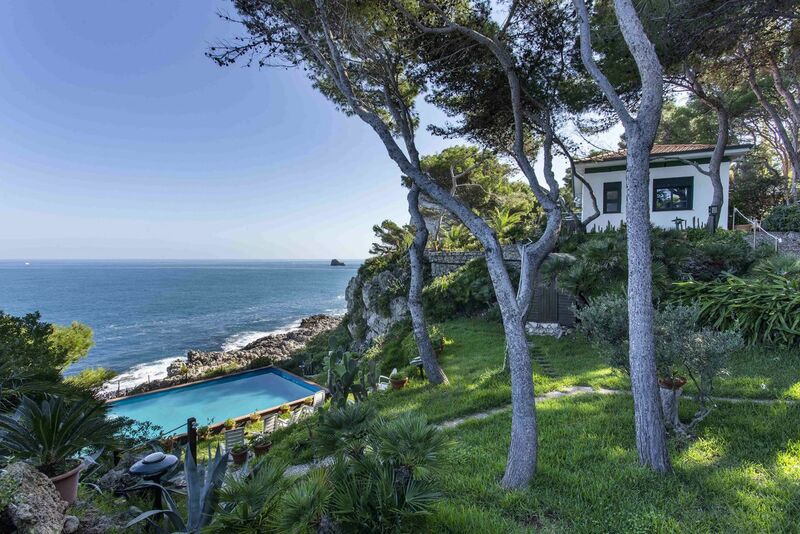 Peace and tranquillity guaranteed. Minimum stay: 7 nights. Sorry, no children or pets. My fiancee and I had the most relaxing stay at The Crofter's House. Sarah has created such a cozy spot in the Highlands and our stay exceeded our expectations in every way! We enjoyed our home cooked meals (after a week of traveling), staying warm by the fire, and having a beautiful, clean place to return after our adventures! Sarah added so many personal touches to the space, which made us feel right at home. Easy access to great Isle of Skye travel guides made our adventures much easier to plan (and navigate). I would 100% recommend this home to all and even tell them to plan around it! Accommodation superb - very homely and cosy, with lots of very useful features. Location is perfect for exploring the island. A very peaceful and relaxing break. Very cosy cottage three miles from Portree in a lovely rural location. Although small the cottage has all you need for a comfortable stay. The local bay is good for seal and bird watching. Further afield Dunvegan Castle , Uig , Armadale are well worth a visit and easily reached. It is the spectacular scenery of Skye that is its chief attraction and this cottage is an ideal base from which to explore that. An original 1830's crofter's cottage updated for modern living. Above Camustianavaig Bay, at the foot of Ben Tianavaig, the house enjoys a rural location, yet is only five miles from Portree. The house is small and stylish, perfect for a hideaway for two. 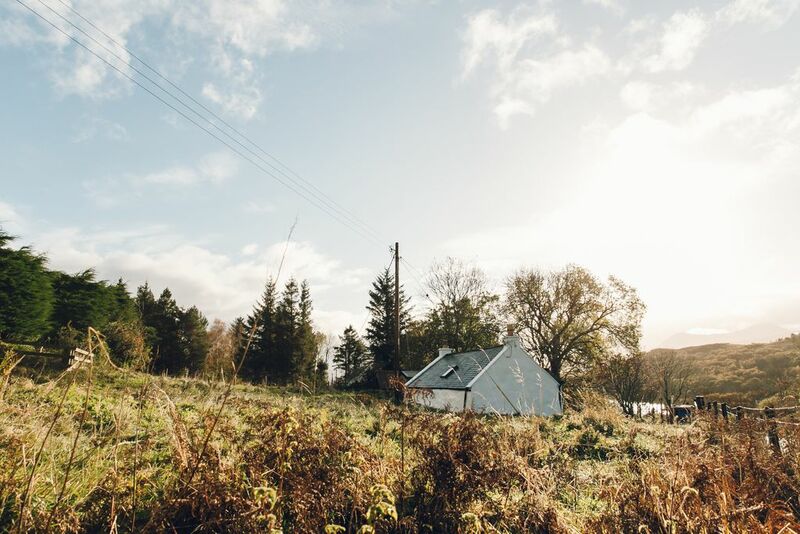 The Crofter's House is the perfect size for a Highland retreat for two and has recently been completely renovated with minimal styling and calm spaces. The living room has a wood/peat-burning stove, small sofa, table and chairs. There is a flat screen 32" TV, DVDs, BOSE bluetooth speaker and some recipe and design books. Outside, there is a shed with a wood store and washer/dryer appliances. There is wireless internet in the house, but being on Skye, it's not very fast! You can get mobile reception but you need to be in the kitchen for calls. We don’t supply logs or peat but you can pick some up from Broadford or Portree. Camustianavaig is quiet with a rural feel. The house is a two minute walk from the bay and wildlife includes seals, sea eagles, otters, basking sharks, dolphins - and local sheep. Restaurants, pubs and shops are five miles away in Portree. There is a bus from Camustianavaig to Portree in the morning, and one that returns in the evening. Otherwise, you'll need a car or bike - there is room to park a car in the garden and shelter for two bikes in the shed.